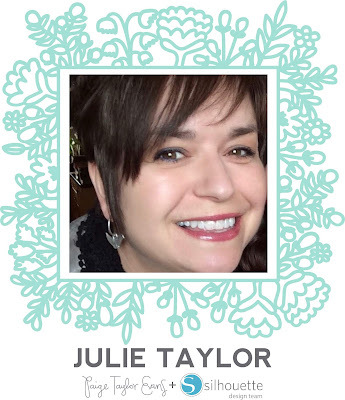 Hi there scrappy friends, Julie back with you today sharing my version of a mini album. As soon as I saw I’d been assigned a mini album to do I went into a mini meltdown!! 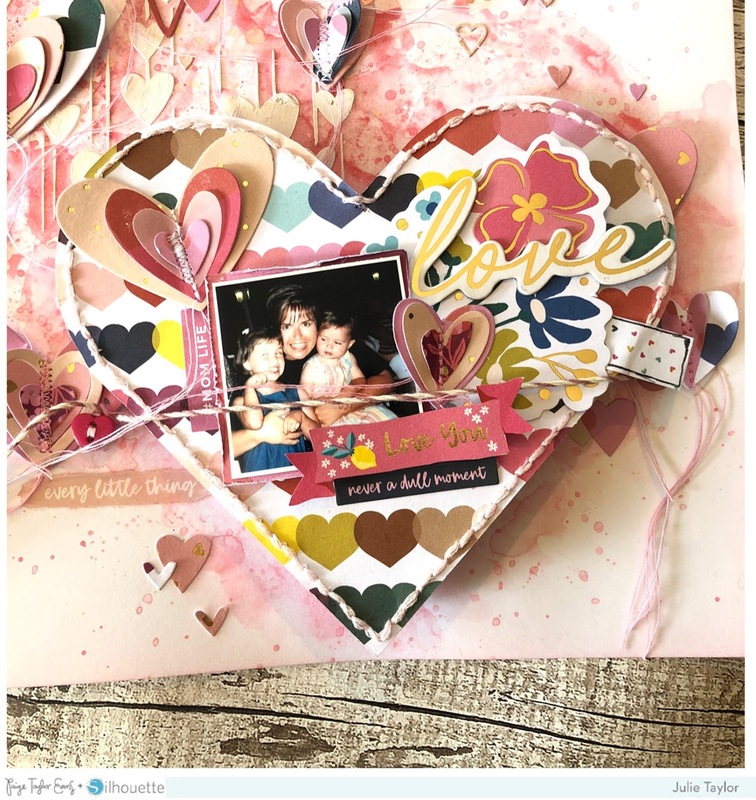 I love the look of them but never do them as I find them so fiddly to construct but really shouldn’t have panicked because Paige has lots of mini albums in her shop that are idiot proof and a doddle to put together. I choose the lovely Heart Squash Mini Album cut file and cut it out of white cardstock using a Silhouette Cameo and decorated it with papers from the Pick-Me-Up collection, mainly focusing on the pink toned papers. 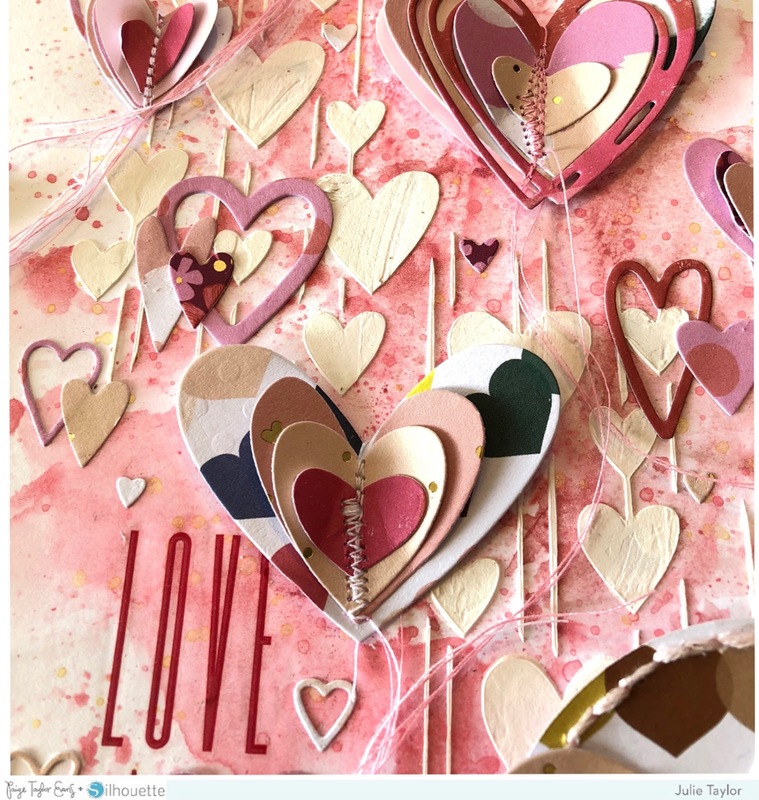 I add some watercolors and texture paste to my background and then punched out various sizes of hearts layering some up and stitching through the middle and adding them to my page. 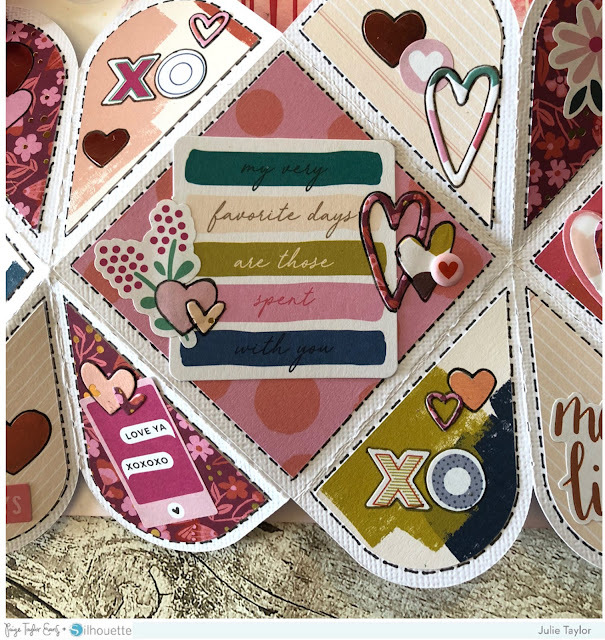 I added a few Rub-Ons and the quote comes from the 30-page Paige Evans #StickerBook. 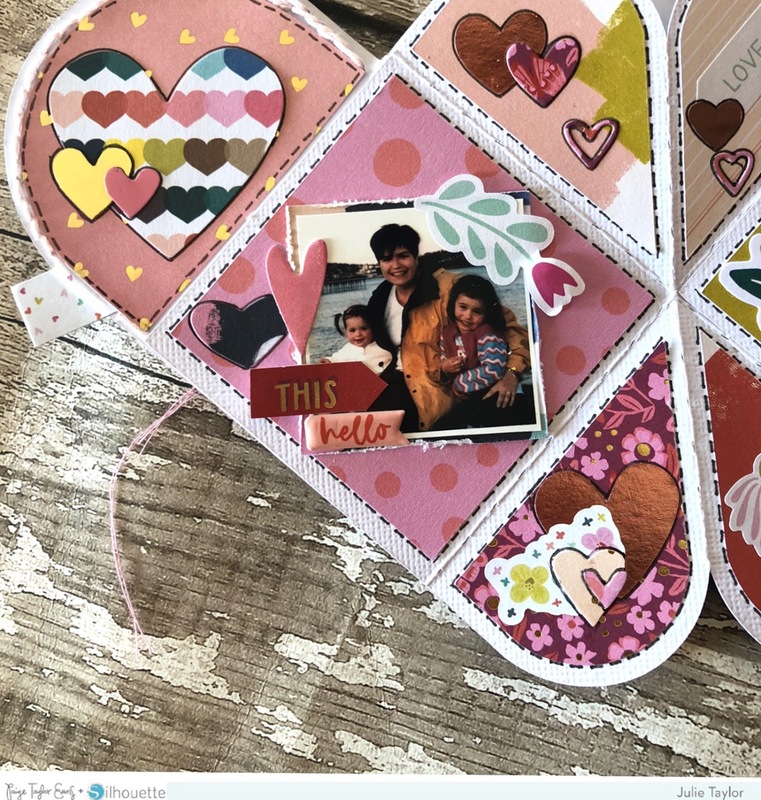 I added small photos of me & my girls back when they were tiny and decorated with lots of embellishments from Pick-Me-Up and the #StickerBook. I then had the idea of adding the mini album to a scrapbook page. 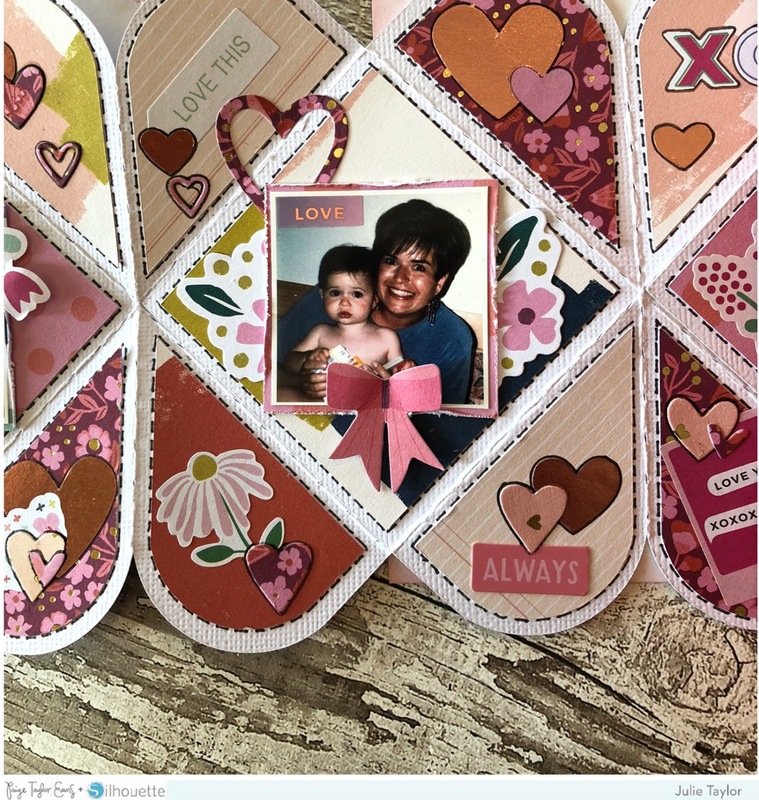 This is a good way of adding extra photos on your layouts and a great interactive element. I attached the mini book with strong adhesive and added some twine to the page to keep the mini album shut, looping it around a Take Me Away Button. 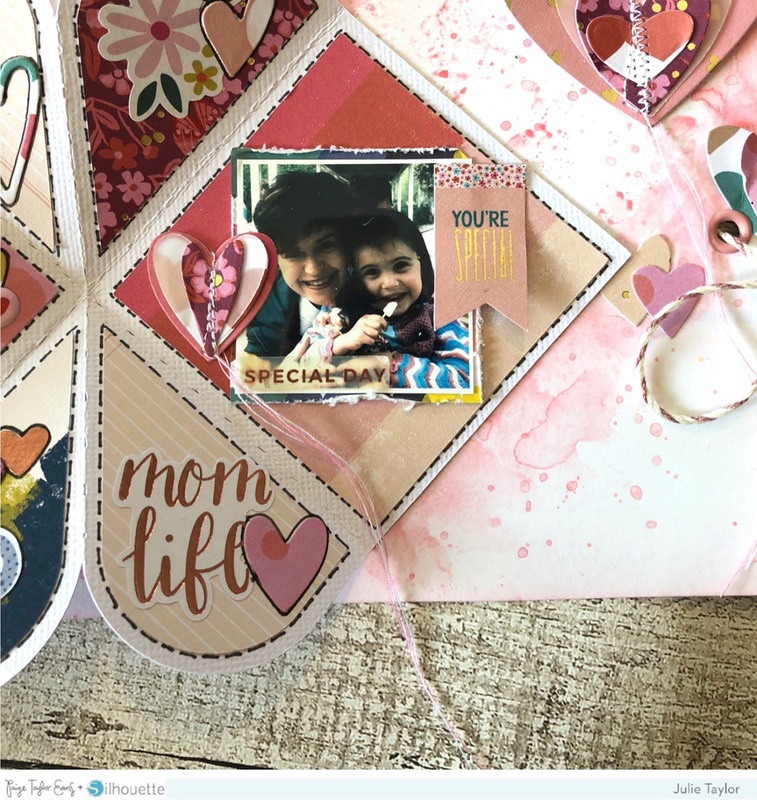 I hope if you’re anything like me and find mini books a challenge that you’ll take a look at Paige’s mini album cut files and see for yourself just how easy they are to use. Thanks for stopping by, until next time! This is so pretty! 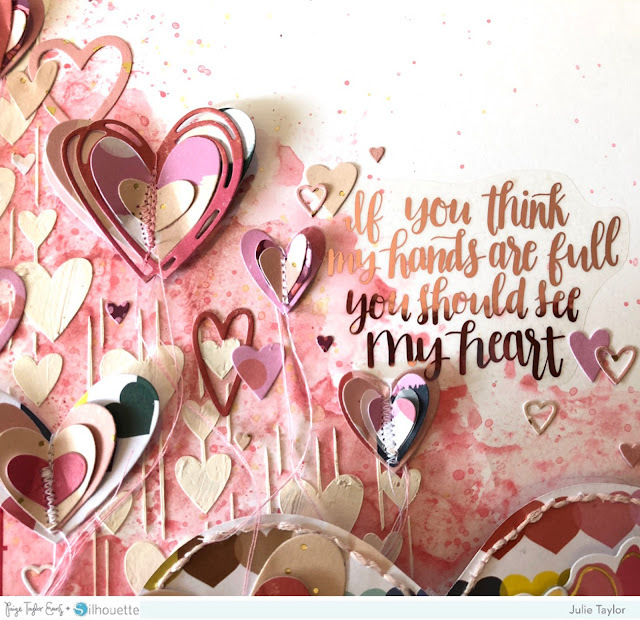 I love the way you did all the hearts and the mini album is such a neat idea! This is amazing! 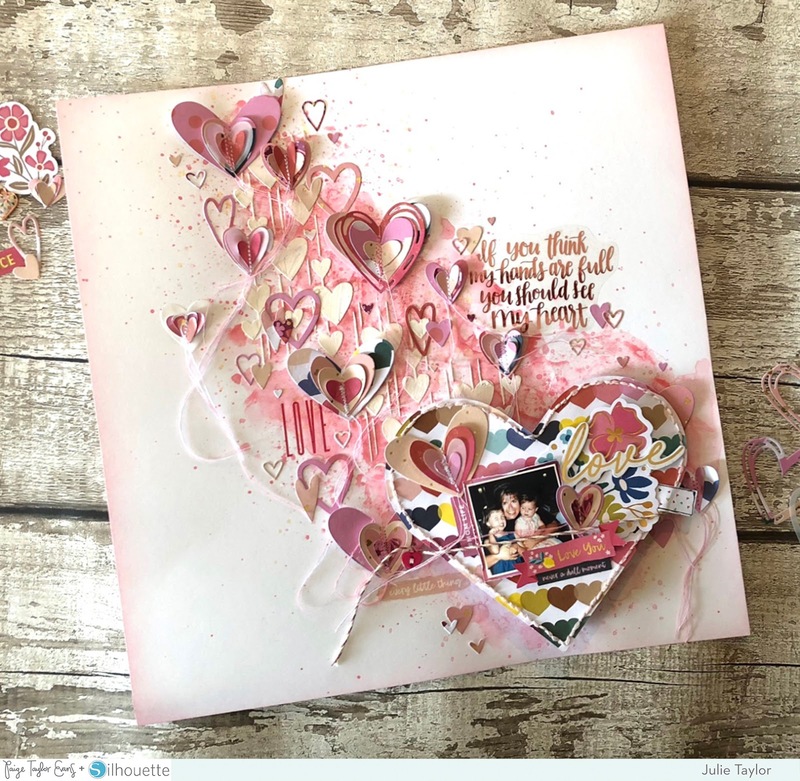 I am LOVING all the hearts!!!! !